Jesus Says To Forgive Your Enemies! The language of the glory of God is universal. No interpreters needed. 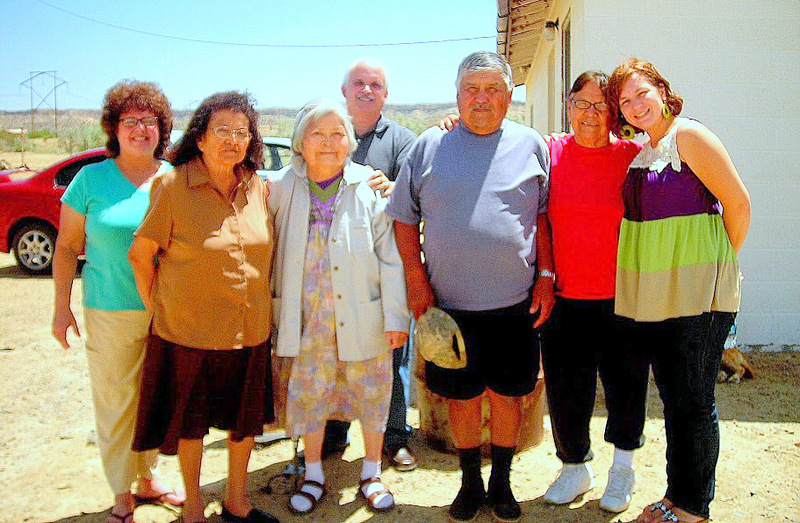 Revival meetings in the Navajo Nation. Click on the picture for the rest of the story. The Greek accusative noun case is just what it states. The accusing finger points to someone or something. The accusative case points to where something is directed to. The pointing finger of God is always to the Christian. It is that the Christian is partaker and sharer of all that God has, is, and wants to do. God has not excluded the Christian from anything. What He gives to Jesus He gives to the Christian. No more and no less. So when you see yourself, point to yourself, and say I am a full inheritor and partaker of all that God has. The genitive case describes possession. We are partakers of the inheritance which God possesses. The dative case expresses location or where something is placed. Those whom are called saints, which are all Christians, are saints in the sphere of or in the location of light. As Jesus is in the light, we must learn to not only walk in the that light, but dwell in the works of light and do them, and not darkness. Since the saints of God are to be living in the world of light, if we obstinately disobey God and choose to live and do the works of darkness we lie and are deceived. I know of some prominent people who call themselves Christians but dwell and do the works which are in the sphere of darkness. Their Christianity means nothing. It stinks! Even if other people come to these people’s rescue and say that they are Christians indeed, I know better. I know what the Word of God tells me. These people are not only lying to others but to themselves. We are called to judge, not with condemning judgment but with discernment according to the Word of God. Never say, “who are you to judge if its judgment with discernment according to God’s word. He has snatched us from the authority of darkness. The aorist tense, as I stated yesterday, describes an event as absolutely finalized on history’s timeline. The Christian has once and for all us has been snatched away from the authority of darkness, and has been physically and spiritually moved in to the kingdom of God’s Son whom He loves. The word for translate, metatithemi, describes an actual change of place. Tithemi is to place or put something somewhere. The preposition meta, describes a change of. God has permanently rescued us away from the authority of darkness and has permanently translated us into the kingdom of the Son of all of His love. We give too much attention to demons. We would do better in attaining to more revelation knowledge of the scripture and less rebuking of demons. Secondly, because we are now permanently dwelling in the kingdom of the Son of God whom the Father has devoted all of His love to, He now loves us with the same intensity that He loves Jesus. Inside of Christ we have redemption. Redemption is an noun in the accusative case. Redemption is the price of ransom which was affected by the blood of Christ. The accusative finger is upon this price of ransom. How wonderful is that? God’s eyes are focused on that price of ransom when He sees us. Now the description of this price is that our sins have been sent away by means of the blood. We have little understanding of what the word forgiveness is. It means physically and permanent to send something far away from you so that it no longer can hurt you. To finish, this scripture is pretty heavy. To remit is to forgive. If we send away another’s sins far away from them because we forgive them, they are sent far away. But if we retain them, they are retained. Retain is the word “ krateo” which means to dominate something and keep it in check. When we don’t forgive, we dominate the person’s sins and keep them bound in them. What an awful thing. If you choose not to forgive and dominate a person’s sins upon them, guess what, you will likewise dominate stuff upon your own life. No wonder that unforgiveness brings so much disease. In actuality you dominate and keep the disease close to you. Have a blessed Tuesday and pray for Wisconsin that God’s will would be accomplished today.